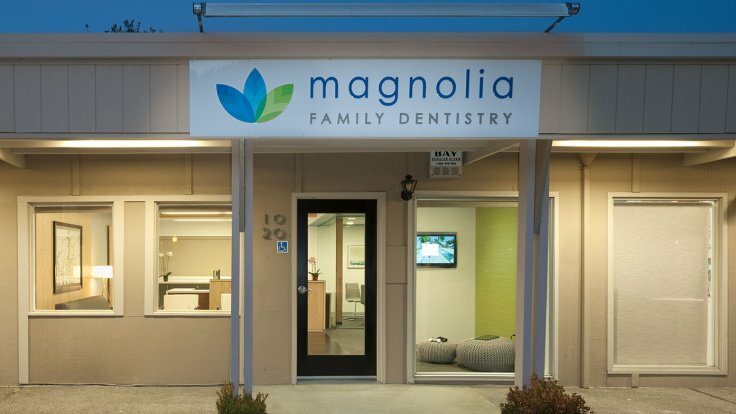 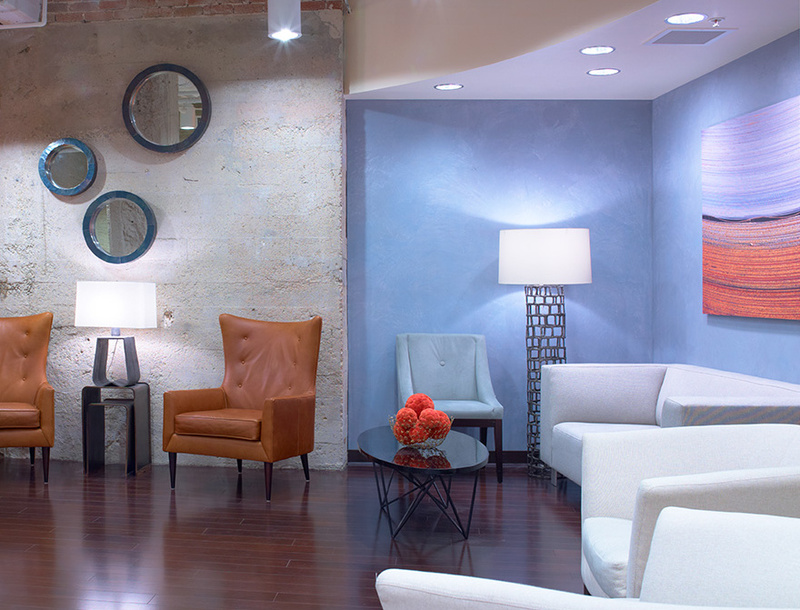 An existing OBGYN practice in an 1860s-era brick and steel grain warehouse is fitted with a soft, modern and welcoming design to reflect the identity of the clinic and its patients. 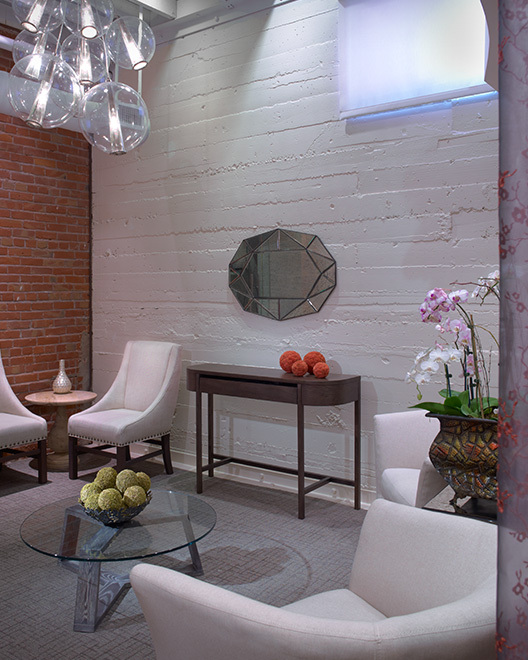 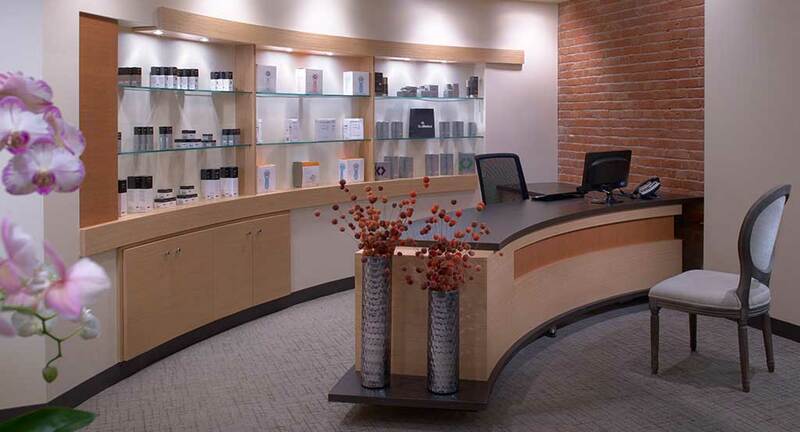 ChallengeHow to adapt an 1860s brick and steel grain warehouse to a warm, modern, intimate setting for an OBGYN office. 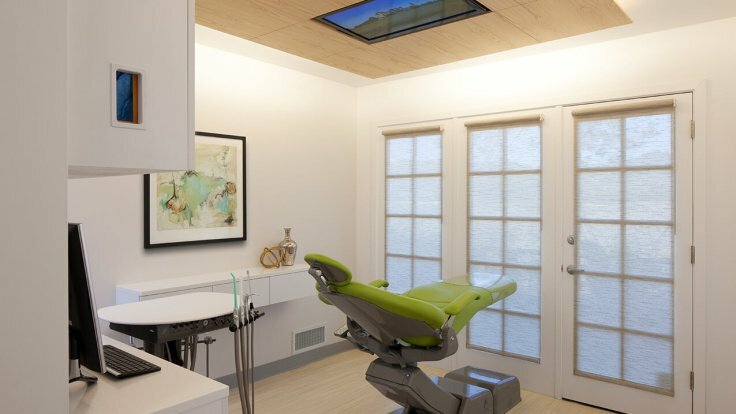 SolutionContrast a masculine structure with elemental and feminine glass and woods, making all elements better for having the other. 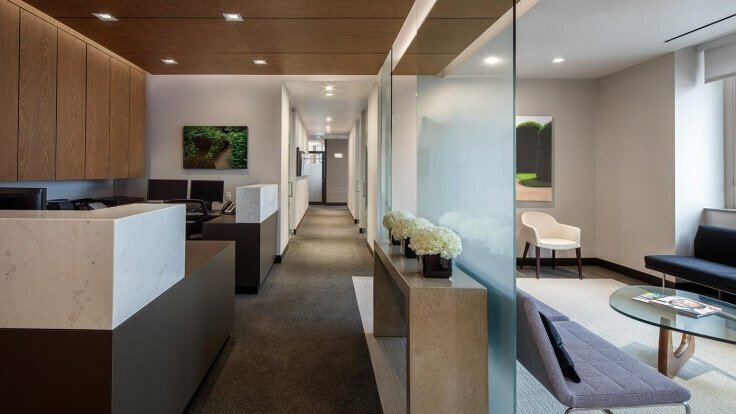 ResultA distinct and modern OBGYN office that emphasizes warmth, sustainability and sophistication. 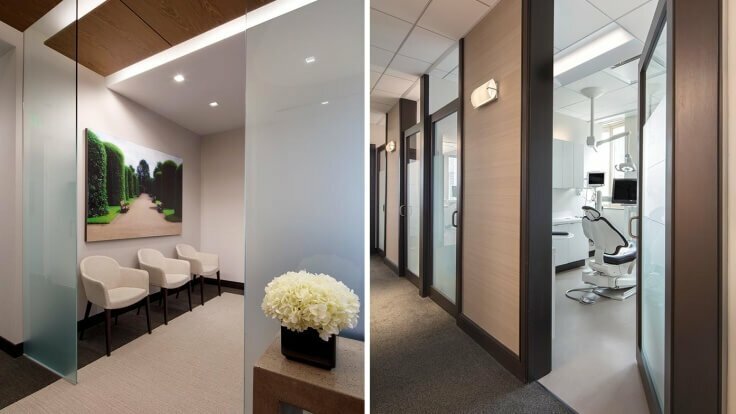 We selected natural and elemental materials such as delicate glass and lacy burled wood to complement yet temper the existing rawness of the building. 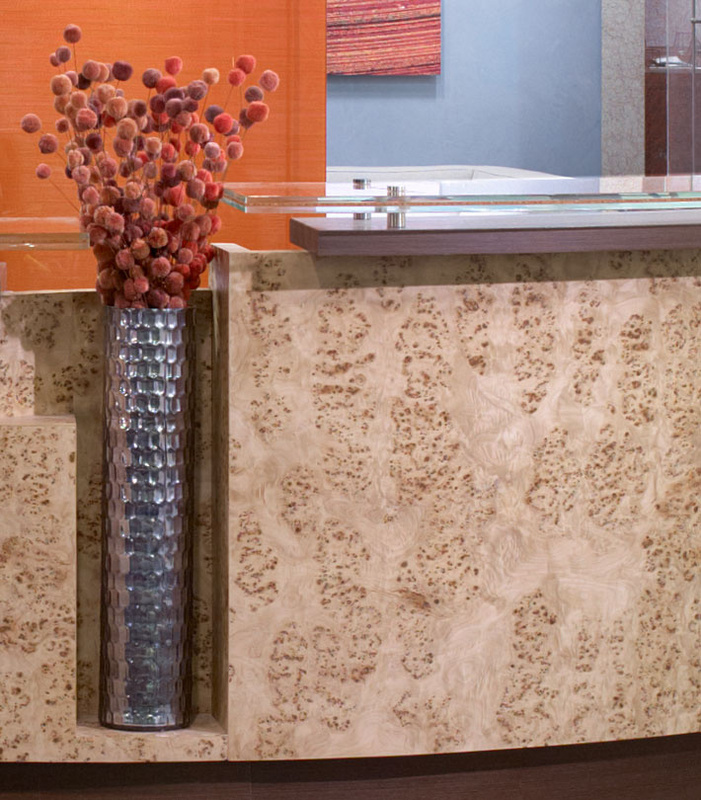 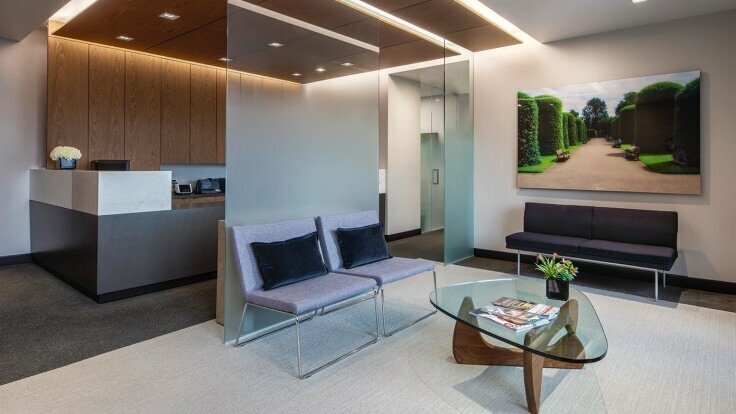 Vertical recessed lighting washes a textured wall. 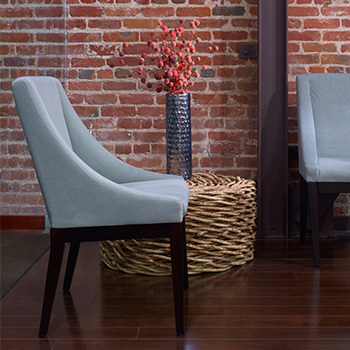 International orange provides life, optimism and intensity, and references the Golden Gate Bridge, while light blue provides a soft counterbalance. 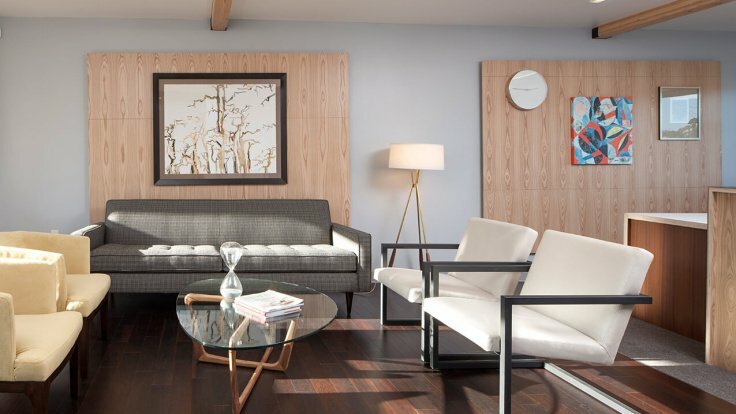 Original artwork in the waiting room ties the palette together. 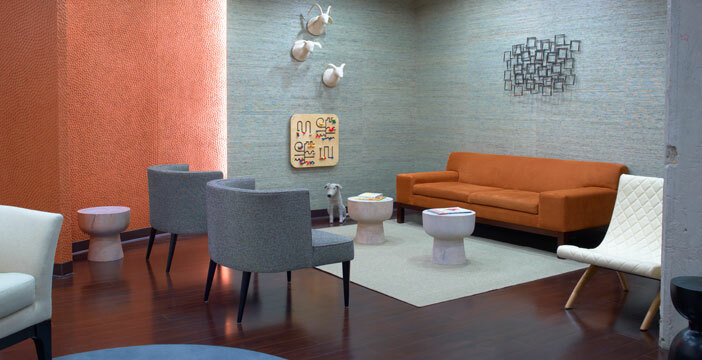 Neutral finishes allow the touches or orange to take center stage. 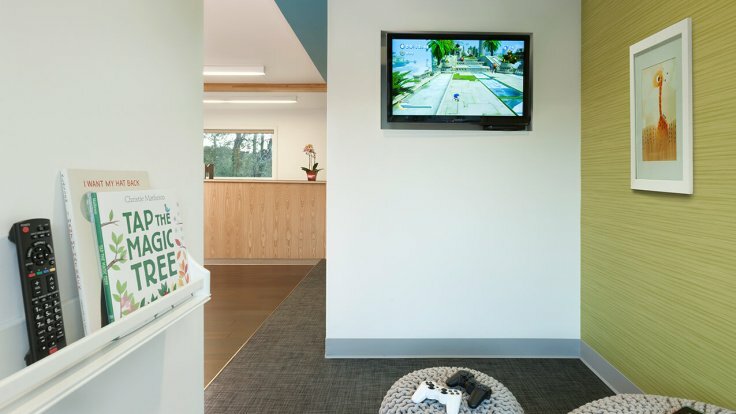 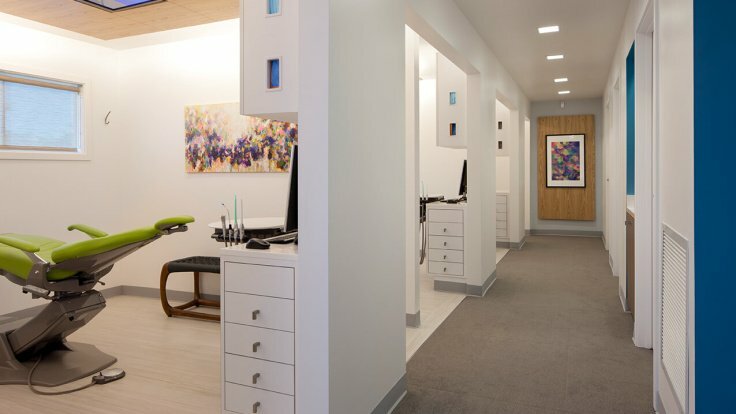 We drew on the notion of the nest — a safe, nurturing space — to design an identity that resonates with the needs of the clinic's patients. 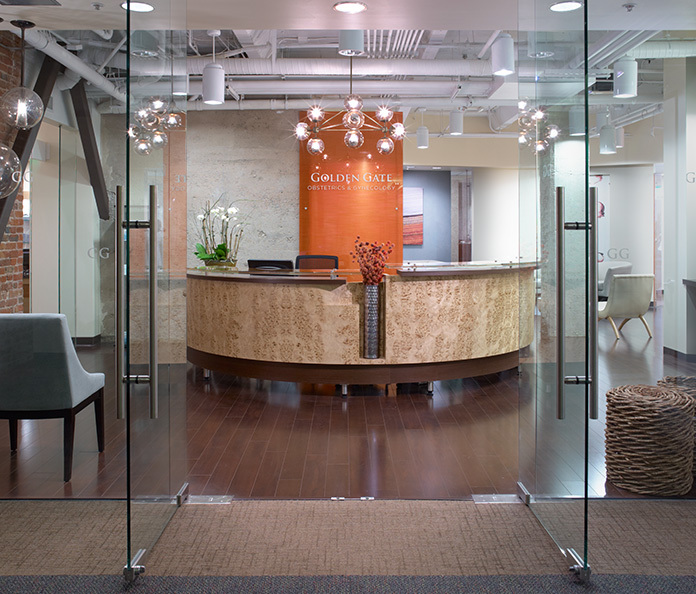 Circular forms and natural tones evoke warmth and well-being. 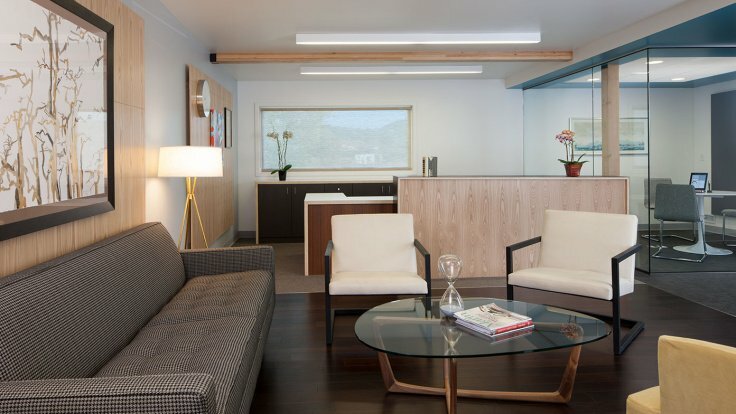 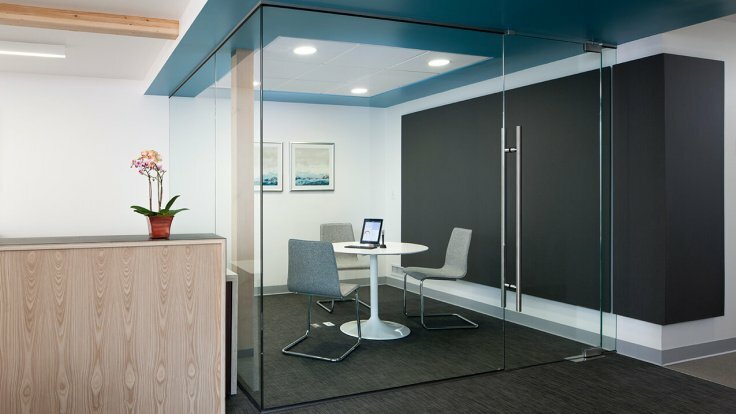 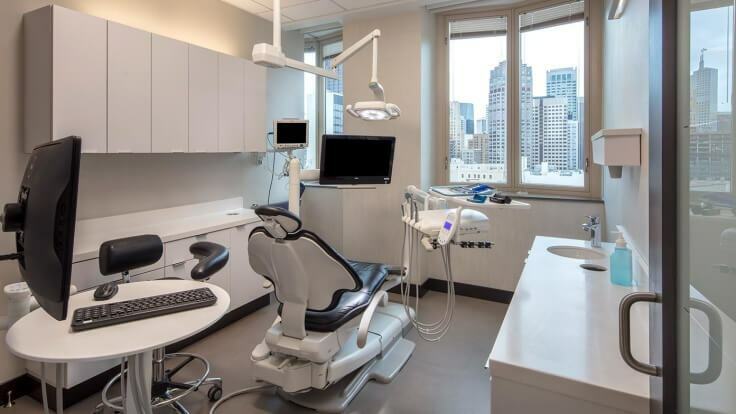 Imaginatively designed to elevate the practice and honor its patients, Golden Gate OBGYN turned the space’s greatest challenge — the existing raw industrial elements — into its greatest advantage.